Linear, blue-green leaves on a frame of spreading, weeping branches, give the Acacia salicina a willow-like appearance without the water requirements of a true willow. Yellow, pollen-laden flowers on this Australian native provides a food source for bees and butterflies and offers a showy display from winter to spring. This evergreen tree prefers good drainage in dry soil and tolerates seaside conditions. The Aborigines used the high-tannin bark in medicine, as a toxin for fishing, and in tanning. Seeds were eaten by indigenous people, but it should be noted that it is a potential allergen and poison hazard. 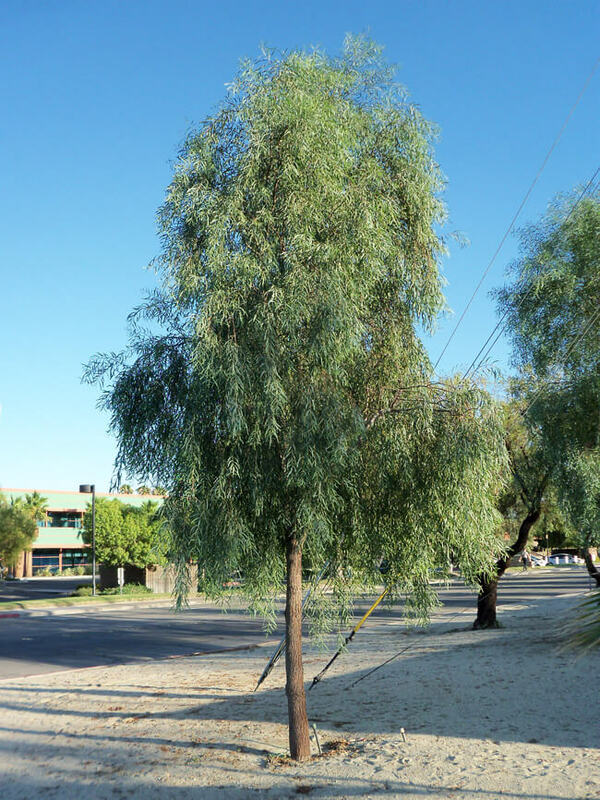 The Willow Acacia is a good choice for a low-water use garden or desert landscape, and its moderately-dense canopy is easily pruned into a screen or hedge.